New look: a mix and match the fedora and the trilby style; short brim in the back, longer brim in the front. 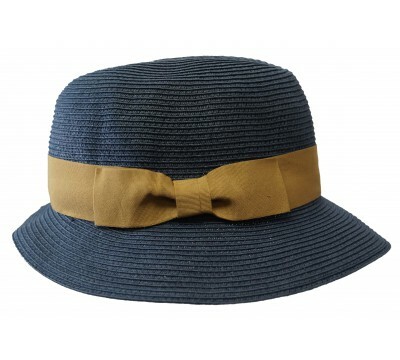 This rollable hat shape makes a great travel companion. 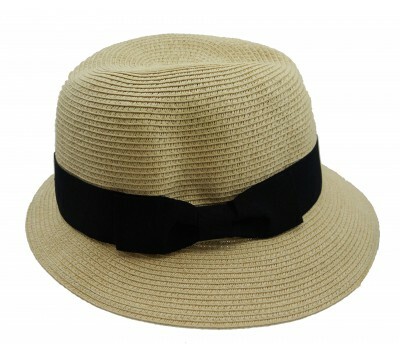 Made of natural super braid straw and trimmed with a ribbon. 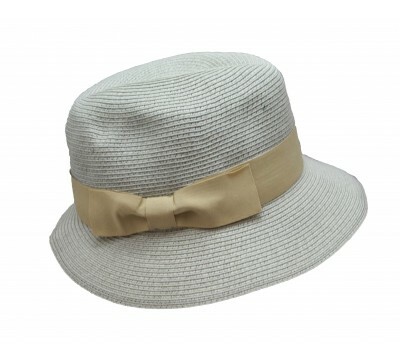 Provided with one size fits all system to adjust the hat size. Gives sun protection to eyes and face. also available in navy, camel, pale grey, natural and in ivory. 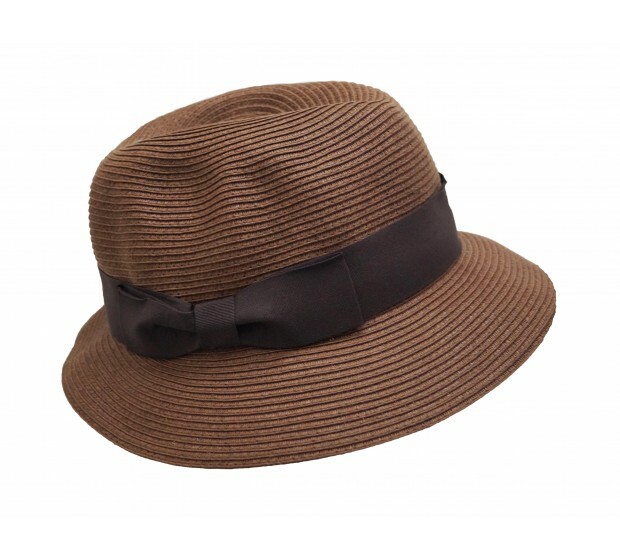 Fisher hat - navy with camel This Fisher Hat is a mix and match fedora and the tri..
Fisher Hat - in colour ivory with camel New look: a mix and match the fedora and the trilby ..
Fisher Hat - natural and black New look: a mix and match the fedora and the trilby style; sh..